The fuel Californians burn getting around in cars and trucks is a big driver of climate change, accounting for more than a third of the carbon pollution the state puts out. 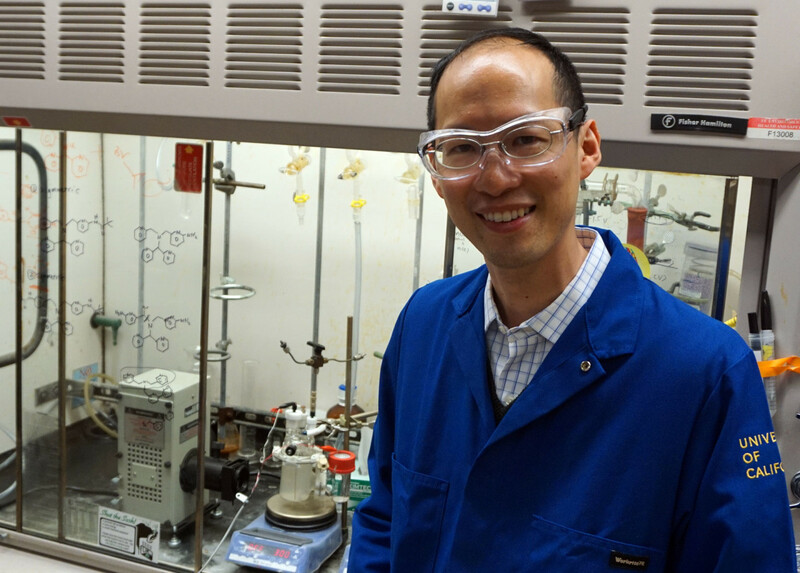 Researchers in Berkeley are hoping to reverse that trend that by making fuel that doesn’t come from oil or other fossil fuels. Instead, they’re turning to renewable and abundant materials, like sunlight and carbon dioxide. Sound familiar? Green plants have already cracked the code of how to survive on light, carbon dioxide and water, through the process of photosynthesis. “Nature has really given us a lot of things to be wowed and amazed by,” says Chris Chang, a professor at the University of California, Berkeley and Lawrence Berkeley National Laboratory. Even the lowly weeds growing outside his chemistry lab are an inspiration for this work. “What we want to do is take that idea," he says, "the idea of making something useful from water, carbon dioxide and light -- things that are freely abundant, freely sustainable." 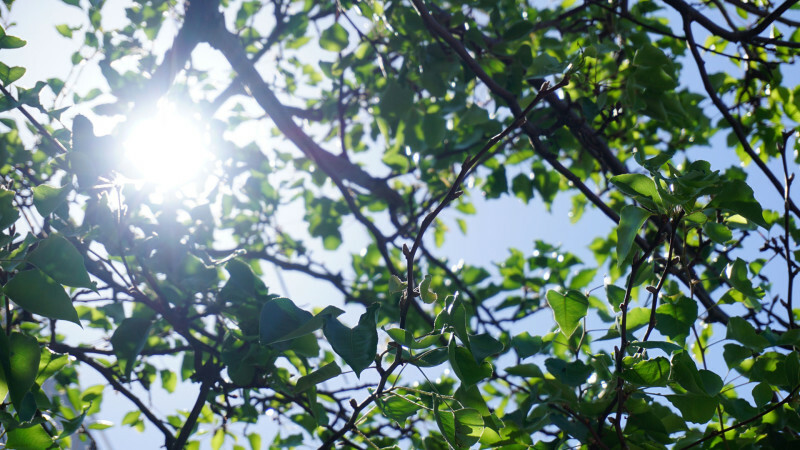 It sounds simple, but scientists have spent decades trying to understand photosynthesis and copy it in the lab, in the hope that “artificial leaves” could one day make fuel for our cars, using carbon dioxide from the atmosphere. Chang, along with his colleagues Peidong Yang and Michelle Chang, have come up with their own prototype, but it looks nothing like a leaf. Microbes are good at making complex substances, Chang says. In your kitchen, they help make yogurt or beer. He and his colleagues bioengineered microbes, changing their DNA to make other things -- like biodiesel or the chemicals that make up plastics. “The first thing we ended up making was actually natural gas,” he says. But the microbes don’t normally run on sunlight, like a plant does. Chang could capture sunlight with a small solar panel, but the bacteria wouldn’t be able to harvest the energy and use it on their own. "This is sort of our Frankenstein-type of experiment, but if Frankenstein was solar-powered." As small as the bacteria themselves -- designed just for them. “The bacteria are like Easter-egg shaped," he says, "and then we have nanomaterials that sit like blades of grass, sort of sticking up." 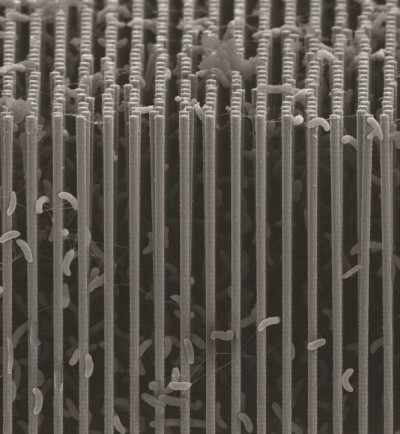 The bacteria sit within that “nanotech grass” and absorb the energy from the solar panel. Essentially, Chang and his team electrified life. “This is sort of our Frankenstein-type of experiment, but if Frankenstein was solar-powered,” he says. The team’s Frankenstein solution was no simple feat. It took several labs of chemists and biologists, who don’t normally work together, to marry a living system with a man-made one. 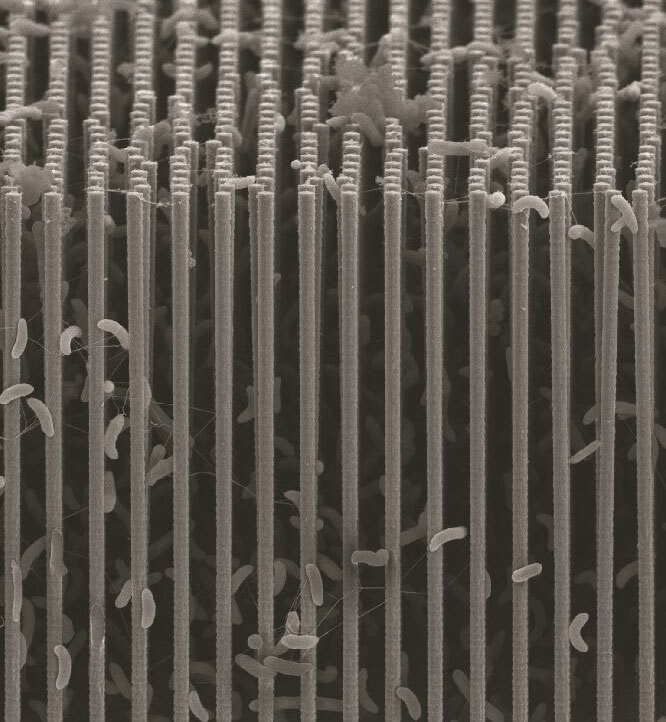 In early versions of the prototype, the nano-materials killed off the microbes. The research is still in the early stages and Chang says they’re working to double the efficiency of the system. Ultimately, looking decades ahead, the hope is that jugs of these solar-powered microbes could sit in our garages, pumping out biodiesel for our cars. JCAP is a collaboration of four California institutions, including Lawrence Berkeley National Lab, and was launched five years ago with $120 million from the federal Department of Energy. The goal is to use sunlight to make liquid fuels, which are used by the transportation industry because they’re more easily stored than electricity is. “It’s very unlikely that anytime soon either you or I are going to take a flight on an electric-powered airplane,” he says. The center is working on creating “artificial leaves” purely through man-made chemistry, unlike Chang’s system that uses living microbes. What it'll cost to make the fuel, and what people will pay for it are both unknown. But Atwater hopes to create usable fuels at a large scale within a generation, a pace that would mirror the success of rooftop solar panels. And he says, copying green plants and turning carbon dioxide into fuel source, instead of a pollutant, would be a much-needed climate change solution.